You might recall that I have a black-footed ferret plush animal. Did you know that I often use it as a pillow when i’m sleeping? I don’t know if this is cute for me, but my ferret looks very cute. 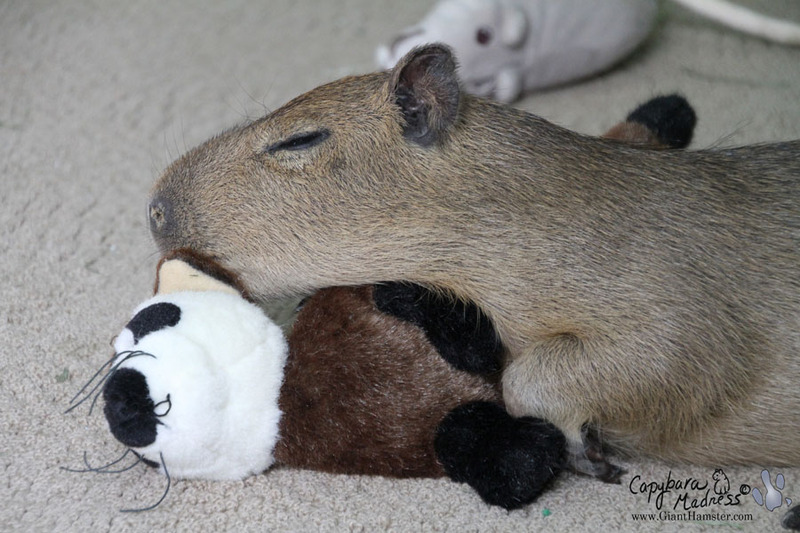 Like most capybaras (I am assuming), I like playing with plush toys and I have a lot of them. 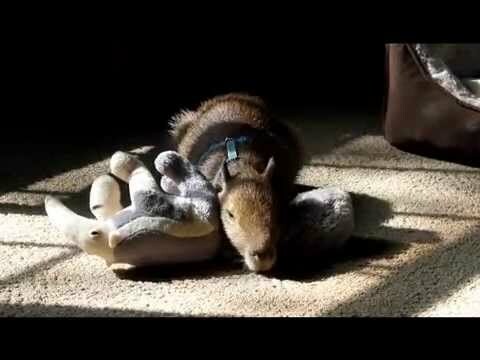 The video above shows me playing with my plush tamandua. A tamandua is also called a lesser anteatre, but I don’t think any less of him. He’s soft and he has a convenient tag to pick him up with. Maybe I look cuter with a human in the photo. Driftwood is trying to help me out with this one. 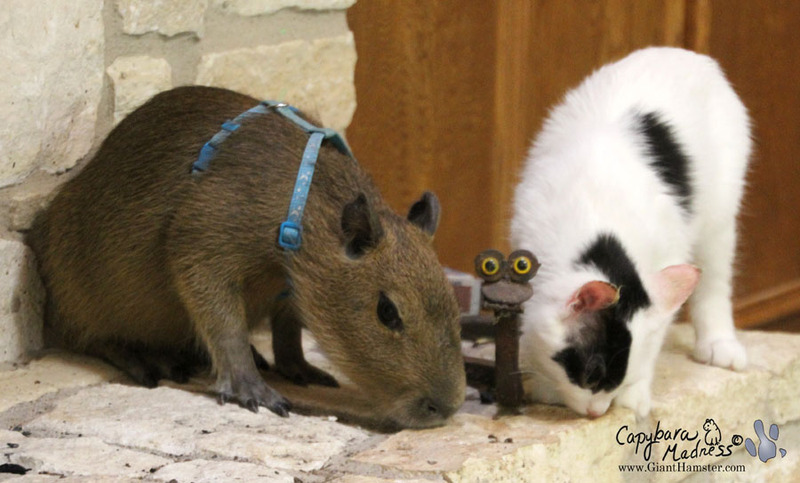 I wanted to chew on Coral’s hair, but for some reason, humans don’t like that. 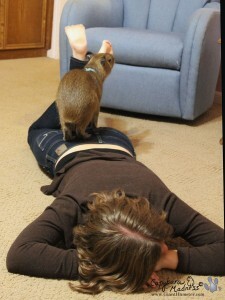 I’m still pretty shy but I know humans can’t grab me while I’m climbing on their back. I think you might find this cute because I look like a masseuse. Maybe one of those that has tiny feet and walks on your back. Only my feet aren’t tiny. Here I am walking in the grass outside. I have heard that humans like baby wild animals. I look pretty wild in this photo, except for the harness…and the leash. In the wilds of the pond! Look at me! I’m at the pond. And I’m even thinking of going in. 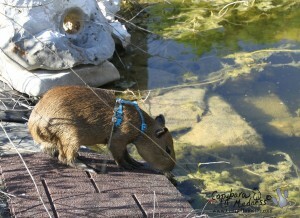 That’s a lot like a wild baby capybara. Only they wouldn’t be thinking about it I suppose. I did go swimming the next day when I knew MelT didn’t have her camera. This test is a pop quiz so I din’t know it was coming. If I’d known, I would have let her bring her camera. Driftwood is a good friend. Driftwood knows all the cute poses. Oh, and that’s not a real snake. It’s made out of railroad spikes. 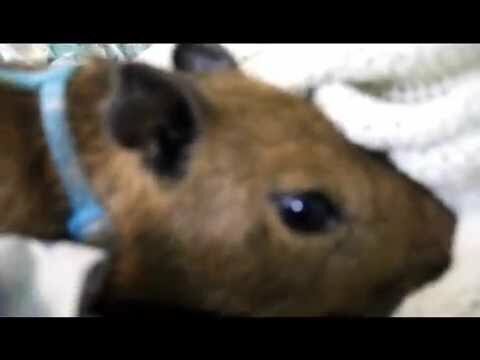 It can’t even move let alone stragulate a baby capybara. I’m not sure if this is cute or not. I sure like chewing his ears though. Here’s a video showing me doing it. You can see that Driftwood really likes it. What? Driftwood got the gold and I only got silver? I don’t mind getting second place in the cuteness contest as long as I’m second to Driftwood. He’s my buddy. Okay, I’m running out of options. 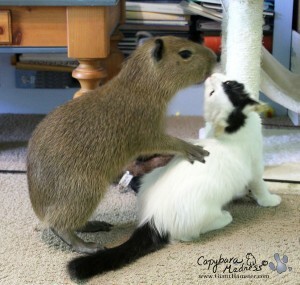 If a baby capybara begging for a bottle doesn’t do it, I have only one more thing to try. Now it’s time to make your decision. Am I cute enough or not? I appreciate honesty, as long as it’s positive. Please let me know which photo or video you think is cutest so I can work on perfecting it. You’re a baby capybara with a cat. You’re the definition of cute. Hi Mudskipper, I really like all the pictures. You are so cute in everyone of them. Love you pal Driftwood and all your stuffies. 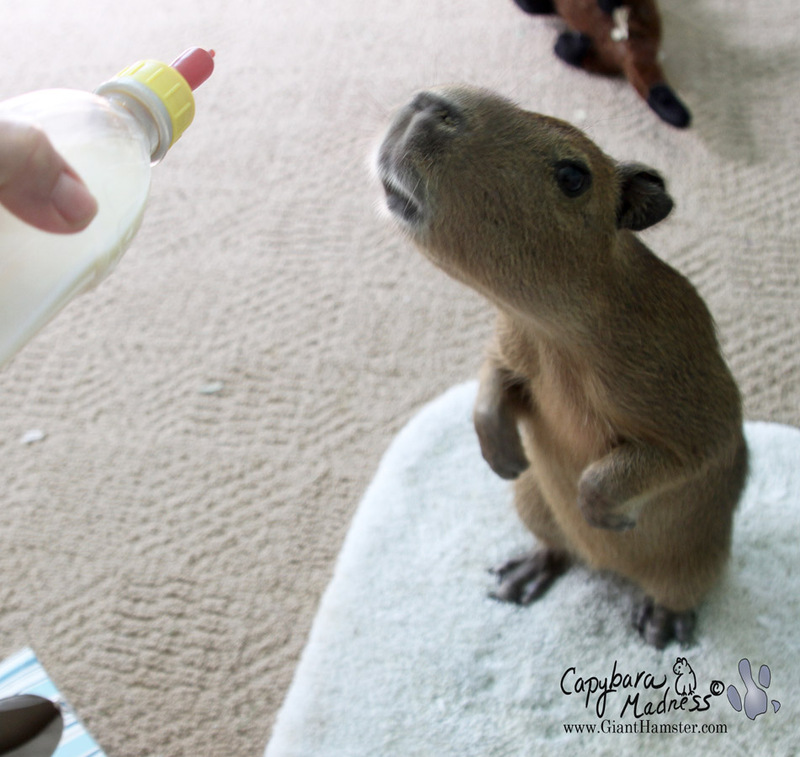 They are all favourites but since you asked for one I have to go with the baby capybara begging for a bottle. I sure hope you continue with your blog. Thanks for making my day. MelT is as silly as Garibaldi always said she was if she thinks you’re not every bit as worthy of a blog as your predecessors! 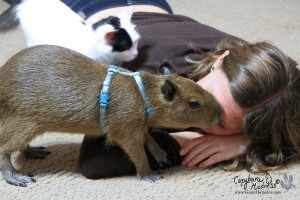 Hard to pick a favorite picture, but I think it’s “Capymassage” by an adorable whisker. Begging for the bottle is cutest of course. Uh, that’s a giant anteater plus but I don’t blame you for pretending it’s a tamandua. Tamanduas are awesome but hard to come by in plush form. Of course doing a trick like begging for your bottle is cute! Adding your cat in, though, is always a winner. Muddy, you are super duper cute! 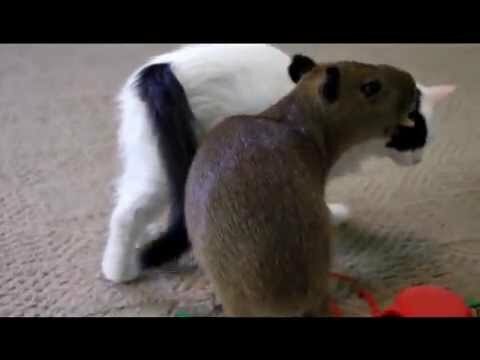 Love your popcorning around like my guinea pig! I think you are the cutest animal I have ever seen! Oh my goodness, yes you’re cute – you’re a capybara after all. Why would anyone doubt that? Begging for the bottle gets my vote even though it doesn’t matter if it’s a bottle or not. That cute nose and big curious eyes do the trick. Muddy, you are utterly adorable and painfully cute! I’d say you pass the test with flying colors! I find you adorable, Mudskipper. Of course you’re cute enough! Anyone who says differently doesn’t have a clue. It’s a tough decision, but if I must choose, I’d say the pic where you’re chewing Driftwood’s ears is the cutest. 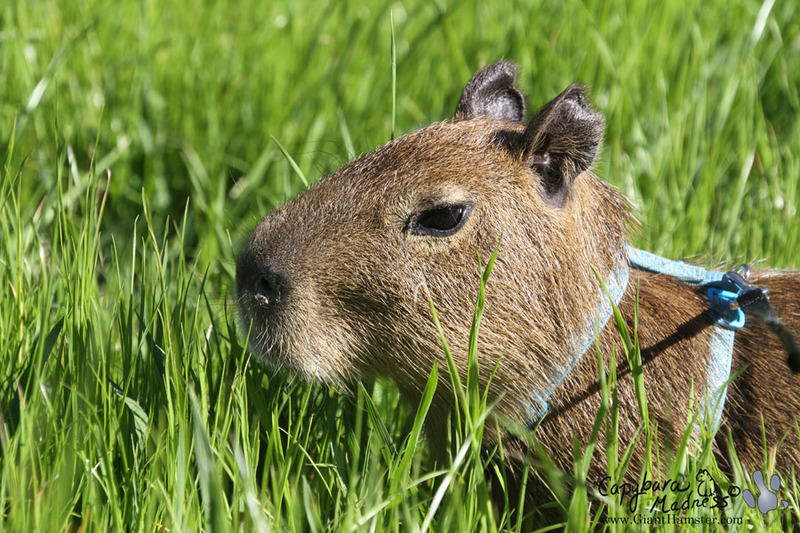 You are the cutest baby Capy ever! I really enjoyed your pictures. 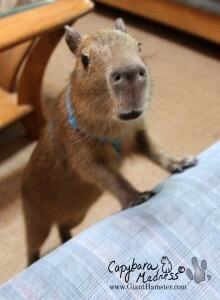 I vote for the ” baby capybara begging for a bottle” for 1st place and the video of him trying to get under the covers. Perhaps Driftwood can help him out in the covering up department! I vote super-cute! Can’t imagine life without a capybara blog in it! Blog on, Mudskipper! Blog on! Muddy, you’re always cute! You’re a capybara! How could anyone say otherwise? They must be thinking of a different Mudskipper. I think my favorite is digging in the blankets. My guinea pigs do that too. But honestly, you’re cute in everything you do. maybe Melly could come up with some kind of capy-cam wher we could watch you and Driftwood all the time! you are too cute not to share! Cute squared! My favorite picture is the first one of you saying Hello. You most certainly pass the cuteness test. You and Driftwood are adorable. 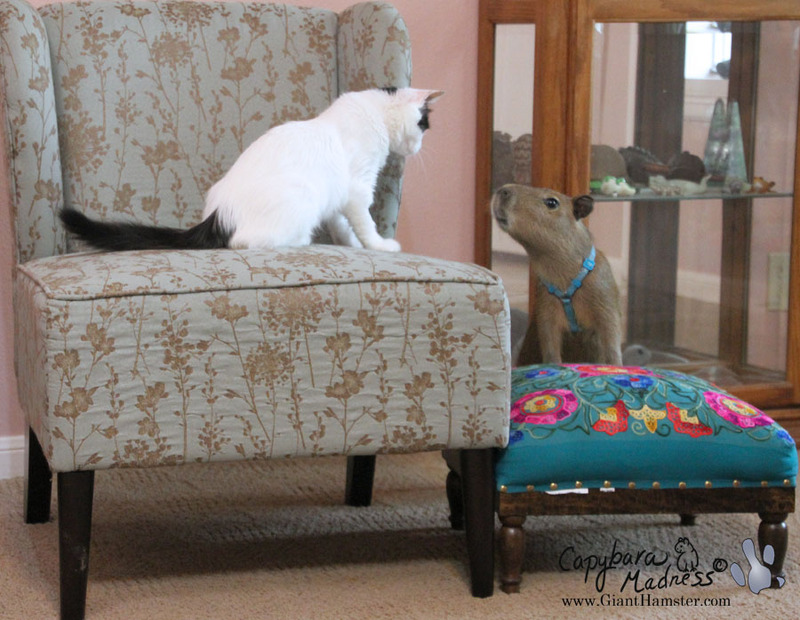 I loved following both Caplin and Gari on this blog, and now I look forward to following all of your posts. Mudskipper, no question, you CRUSHED the cuteness test. You and Driftwood are adorable. You and Driftwood are adorable! Can’t beat a capybara hanging out with a cat for cuteness. You are cuteness incarnate. 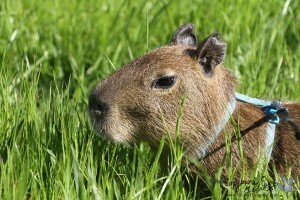 Also a capybara. Perfection. little Muddy one you pass all the cuteness tests in my book. Cuteness overload. I wish I could visit you. You are very cute Muddy! I like the video of you going to bed, specially when Driftwood tries to help you! 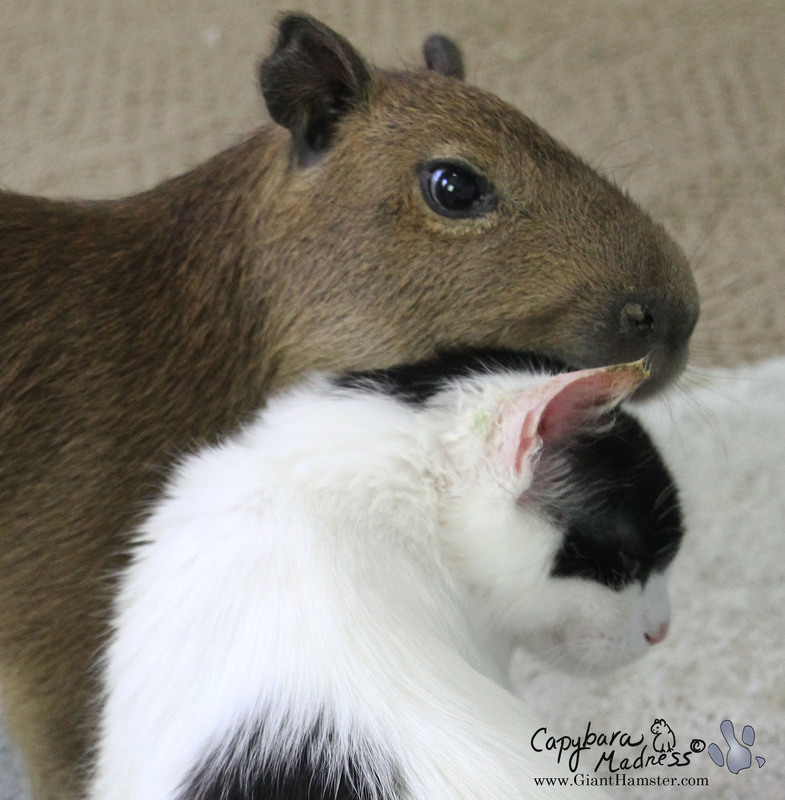 I love your little capybara hand (well, foot, but it looks like a hand) on Driftwood’s back. Very cute. Send more. Muddy, MelT is silly, or perhaps she doesn’t have as much energy as you and doesn’t want to keep the blog anymore. I cannot think of a more deserving or cute capybara to have a blog. I love your updates, especially with Driftwood. You guys are all so cute! Muddy, Driftwood, WBBII! Please,continue in the same way!!! Of course he’s cute… he’s the sweetest! So cute. SO SO CUTE! You are just so adorable. It is hard to pick one favorite pose. Thank you Dobby for posting the link to the stalker one, I almost missed the cuteness overload. Seeing this just made my day.